For the adventurous side in us all, sometimes we just need to get away. The problem with just picking up and going is “where do we go”? Traditional travel comes with wasted time. Airport security, rent car lines, hotels all come with waiting and lines. So much of your getaway time is spent wasted. When you board your RV not only are you stepping into luxury accommodations, you and your family can start having fun. So were back to the question “where do we go”? For many Californians Nevada is not that far to drive. Yes, you can go to Las Vegas, but there is so much more to this great State of Nevada. Road tripping is so much fun. Each of the listed destinations have fun things to do when you get there. From boating, hiking, nature trails and wildlife viewing you will find plenty to do ounce you arrive. The fun however begins when you step into one of our luxury coaches. When you begin your journey you’re free to stop, get off the beaten path, the world is truly your oyster. These two examples of amazing adventures, and things to see await you in Nevada. When you arrive, set up camp imagine the memories you will be sharing for years to come. Traveling with children, your children will be telling camping stories to their children. You can’t make those memories in an airport security line. Live life, see why thousands of families RV. When we talk about camping you come in from the outdoors to your luxury accommodations, warm inviting bedding and luxury amenities that feel like home. For the adventurous roll out a sleeping bag and enjoy the beauty that the night sky has to offer. 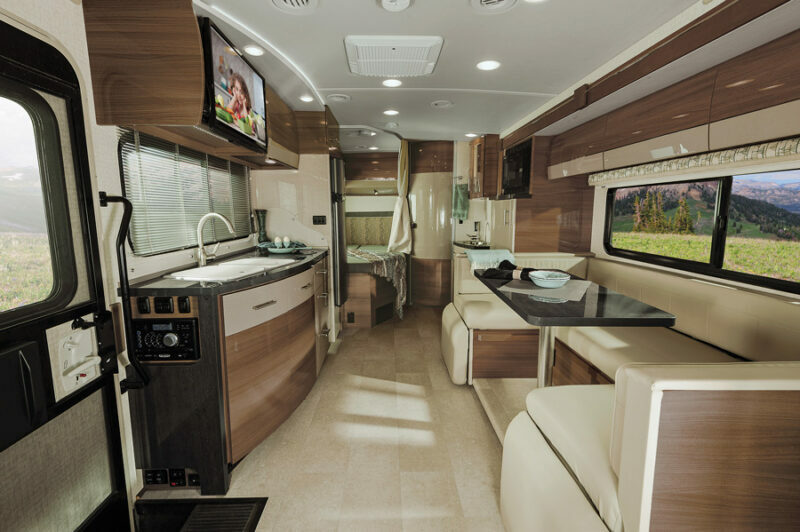 LuxeRV is your first choice in luxury RV rentals. Our friendly staff can help you plan your next getaway.